In The Game‘s foray into the baseball card market is inching closer toward a reality as 2011 Heroes & Prospects Baseball “Hits” Series 1 is set to arrive on Feb. 24 with a little something as its name suggests. Each box will contain five autograph or memorabilia cards — there are no base cards in the product — for a suggested retail price of $95. Every 12-box case will include a 1/1 card, while each master case is made up of four 12-box cases. 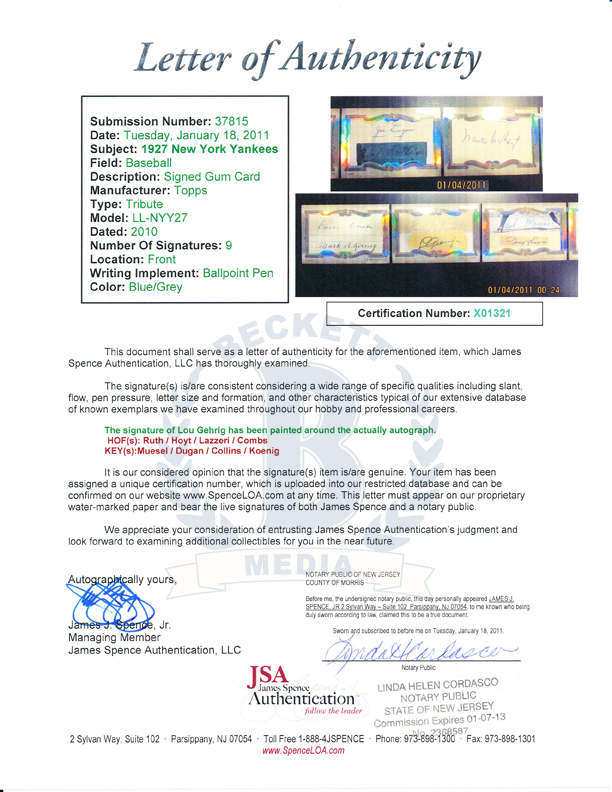 Although the product was announced at last year‘s National Sports Collectors Convention in Baltimore, ITG has opted for a spring training-timed release. 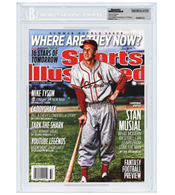 The product is mostly prospect-driven but does include memorabilia and autograph cards of Hall of Famers, retired stars and current MLB players. Some of the notable signers include Johnny Bench, Tommy Lasorda, Yogi Berra, Tom Seaver, Cal Ripken Jr., Nolan Ryan, Reggie Jackson, Don Mattingly and Harmon Killebrew among others. Notable prospects who signed for the set include Brandon Belt, Yonder Alonso, Wil Myers, Dellin Betances, Jameson Taillon, Kyle Drabek and Mike Trout to name a few. What can you expect to find? See the images … after the jump. Move over Zales, Topps is taking over. Topps unveiled on Tuesday its plans to make 10 lucky couples the possible winner of a diamond engagement ring as a tie-in to its 60th anniversary — a diamond anniversary — of making baseball cards. Couples who produce a 90-second video and post it to the company’s Facebook page will have the chance to be one of the lucky 10 who will compete, on Valentine’s Day no less, for the chance at a ring. Join Beckett Baseball’s Chris Olds and Brian Fleischer as they rip into a pair of 2010 Bowman Platinum baseball boxes from Topps in this latest episode of Box Busters. Join Beckett Baseball’s Chris Olds and Brian Fleischer as they rip into a pair of 2010 Bowman Draft Picks & Prospects baseball cards from Topps in this latest edition of Box Busters.